This West Ham United season has seemingly been filled with reasons for encouragement and despair in equal measure, with consistency still hard to come by for Manuel Pellegrini’s team. A poor run of form was arrested by an excellent draw with Liverpool on Monday, and now the Hammers could be about to see their campaign really burst into life. 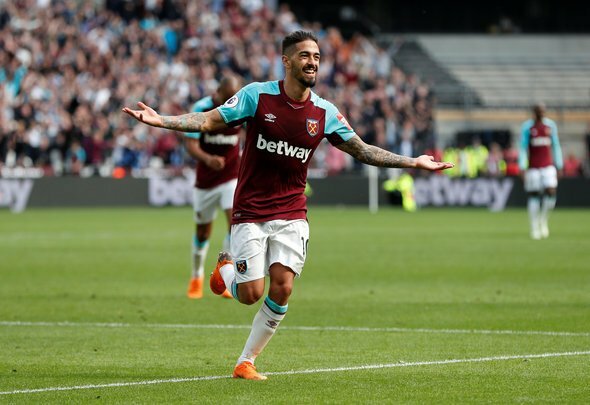 That’s because Pellegrini revealed at his pre match press conference on Thursday that Argentine playmaker Manuel Lanzini’s return to action is imminent. The Hammers clash with Fulham takes place next Friday and with it the potential return of the 25-year-old. That is massive news for everyone associated with the club, and is just what West Ham need to give their season a bit of a boost. Lanzini has been missed as much as anyone in claret and blue this term. His creativity, movement and finishing ability has been sorely lacking in a midfield that doesn’t score enough goals. The talent now present in Pellegrini’s team makes the Argentine’s return even more salivating. Felipe Anderson has yet to play with Lanzini, but it’s likely the two would get on like a house on fire. The creativity of those two players together, playing in behind Marko Arnautovic, is a recipe for major success. It’s easy to forget how good Lanzini looked before the injury which robbed of his place at last summer’s World Cup. He’d broken into the Argentina squad, for goodness sake. That’s relatively easy to do if you’re a defensive player, not so much if you’re an attacker. To have someone of that pedigree back in the fold is gigantic news for West Ham – awe-inducing perhaps. The team needs a lift like this, and Lanzini will undoubtedly provide it soon enough.